Ron Wyden and Paul Ryan got everybody’s attention last week when, together, they endorsed the idea of turning Medicare into a voucher scheme. But exactly how similar are their visions? I’m starting to wonder. In interviews with Igor Volsky of Think Progress and with yours truly, Wyden was emphatic about protecting traditional Medicare and what it offered seniors. “I would never do anything to shred it, or weaken it, or harm it in any way,” Wyden had told me. 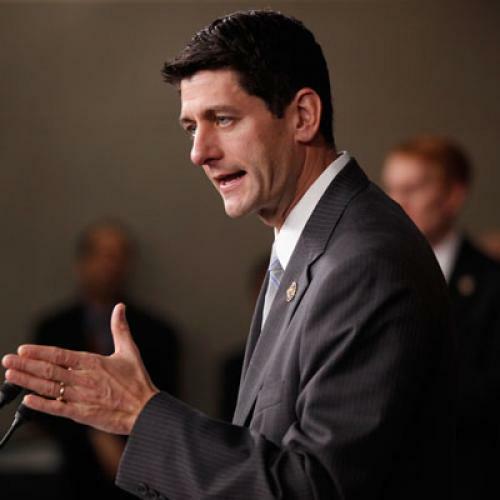 Later, he said this scheme was “absolutely not … the end of Medicare as we know it.” But Ryan, in an interview with James Pethokoukis of the American Enterprise Institute, struck a different tone: “We are stopping the open-ended, defined benefit system,” Ryan said. It might not be immediately apparent, but the quotes from Wyden and the quote from Ryan are not consistent with one another. If anything, those quotes highlight the extent of ideological disagreement between left and right over Medicare's future. Contrary to popular perceptions, the debate is not simply over whether public sector insurance programs are more efficient than private sector alternatives. And it is not simply over whether competition can lower the cost of medical care more effectively than regulation. It is also whether our society should make a solemn guarantee to seniors – and, more precisely, what that guarantee should be. Today, Medicare is a guarantee to the elderly that, upon retirement, they will get a comprehensive set of health benefits that will be within their financial means. The guarantee does not come free: Seniors pay premiums for Part B and Part D, the portions of Medicare that cover outpatient services and prescription drugs. Medicare also has cost sharing, in the form of deductibles and co-payments, just like any other insurance policy. But seniors pay far less in premiums and out-of-pocket expenses than they would if they were buying insurance on the open market. That’s because they’ve paid into the system for the entirety of their working lives, via the payroll tax, and because present-day taxpayers pick up the tab for whatever is left over. In a premium support system, the government doesn't promise a set of benefits. It merely promises to give seniors some money. That money might not be enough to pay for comprehensive health insurance. In fact, it almost certainly would not be. Consider, for example, Ryan’s original voucher plan – i.e., the one House Republicans approved in the spring and that Mitt Romney, the apparent frontrunner for the Republican presidential nomination, was embracing in principle just a week ago. The voucher's value would go rise every year, based on a formula pegged to inflation. And that would almost certainly not be enough to keep pace with the rising cost of medical care. According to the Congressional Budget Office, by 2030 the voucher in that plan would have paid for only about one-third of the typical senior’s medical costs. In other words, even with the voucher, the typical retiree would have been responsible for about two-thirds of his or her medical expenses – an amount that would strain the budgets of most and be positively unaffordable for some. The scheme Ryan and Wyden unveiled last week envisions a voucher whose value increases more quickly. That means seniors would get more money, presumably enabling more of them to buy insurance at rates they could afford. But some seniors would still struggle – and, over time, the number struggling could grow if the cost of health care grew faster than the value of the voucher. After all, what was true of the original Ryan plan would also be true of the new Ryan plan, at least according to Ryan: The government would no longer guarantee that every senior had access to a defined set of benefits. Here's another way to think of it. In traditional Medicare, seniors are not at huge risk if health care gets expensive more quickly than anticipated. The government might have to reduce payments to the providers and suppliers of treatments, or today's taxpayers might have to cough up more money. But while seniors might see higher cost-sharing and premiums, they'd still get their benefits. Most premium support proposals would flip that guarantee on its head, putting individual seniors at much greater risk. If the cost of medical care rose faster than the value of the vouchers, seniors would simply have to cope with less coverage. Some would surely manage, but some would just as surely not. Wyden would dispute the analysis above. He believes that the proposal he crafted with Ryan is different – that it would shield individual seniors from higher risk, through a series of consumer protections. I'm skeptical the protections would work, for reasons I explained last week. But put that aside for a moment. Do Ryan and other leading Republicans believe those protections are even necessary? Do they share the ironclad commitment to promising that all seniors can get comprehensive health benefits? As best as I can tell, they do not. And that's the critical question going forward.